A man accidentally gets into a time machine and travels back in time….and that is the least of his problems. 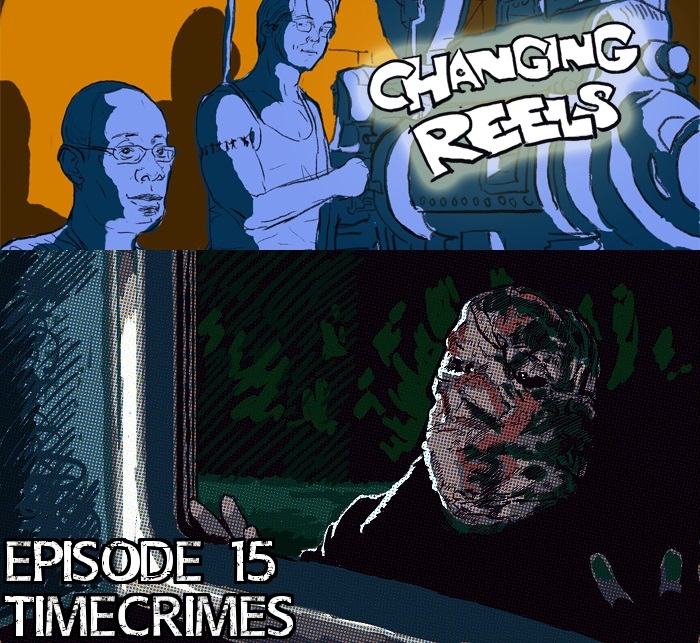 In this episode, we discuss Nacho Vigalondo’s brilliantly constructed science fiction tale Timecrimes. Part thriller and part dark comedy, Vigalondo ensures that no moment is wasted in this film. While other time travel tales get bogged down with explaining how the machine itself works, Timecrimes’ brisk pace and frequent twists ensure that audiences will be coming back multiple times. We also take a few minutes to discuss our short film selections: Joe Kramer’s Running the Gammatar and J. Searle Dowley’s Frankenstiein.